The drama students will perform The Gift of The Magi, Dec. 7-8. The play, set in the Great Depression, is about a couple in love who want to get good Christmas gifts for each other, but their plans go wrong. For some, this play is more on the fun side because of the story it tells. The cast believes this play is different because it is more endearing than the other plays they have done. The time the cast spend together allows them to become a family. Most actors are enthusiastic to perform and connect with a different character than before, but others are more eager to perform with their cast members. “I would say the cast mainly. 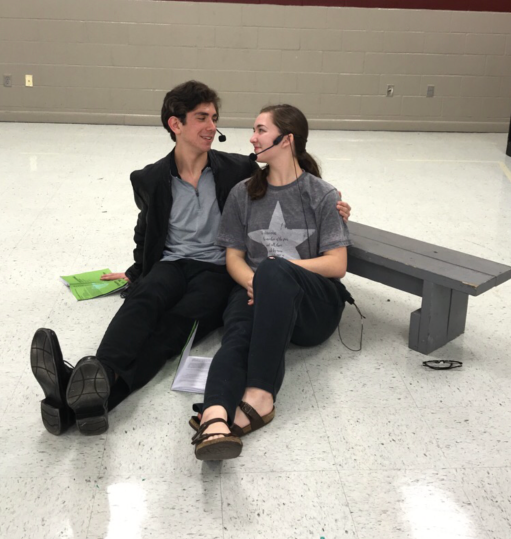 I’m excited to be a part of such a good cast,” senior Jameson Pruett said. Depending on the person, lines can be difficult to learn. Some people have a more dominant role with more lines than others, which can make it harder to remember lines. Others might have a different challenge holding them back. “Yes, learning lines is very difficult for me because I’m heavily dyslexic,” junior David Dyer said. The cast has not performed many love stories in the past. They claim this play is more rational than others. Behind these stories, there is always a message that the cast portrays. There’s something you can take away from the play that can be used to help in the future. “I guess the moral of the story is that when gift giving material things don’t matter it’s the intention and the love behind it,” Kelly said.